Life as we know it ...: The barn gets prettier and prettier . . . and so does our front porch! The barn gets prettier and prettier . . . and so does our front porch! 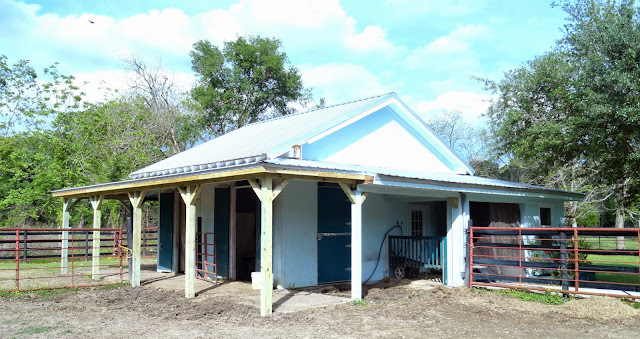 We had gotten a porch installed all the way around the barn a couple weeks ago. all VERY happy now when it storms these days! When it storms, Duke and Arthur stay inside their stalls eating hay and not paying attention to the rain at all. But Shadow stands out of the porch watching it pour down - but not going out into it. Very nice! But since it poured down rain last week when the gutters were supposed to be installed on the barn, the gutters weren't put up instead until yesterday -- Sunday afternoon! So when it pours down rain again, hopefully the paddocks will no longer be overrun with flooding water as in the pictures above from water running off the barn roof! Instead the water is going to run into the gutters and over into the raised flower beds in the front of the barn instead. Nice! 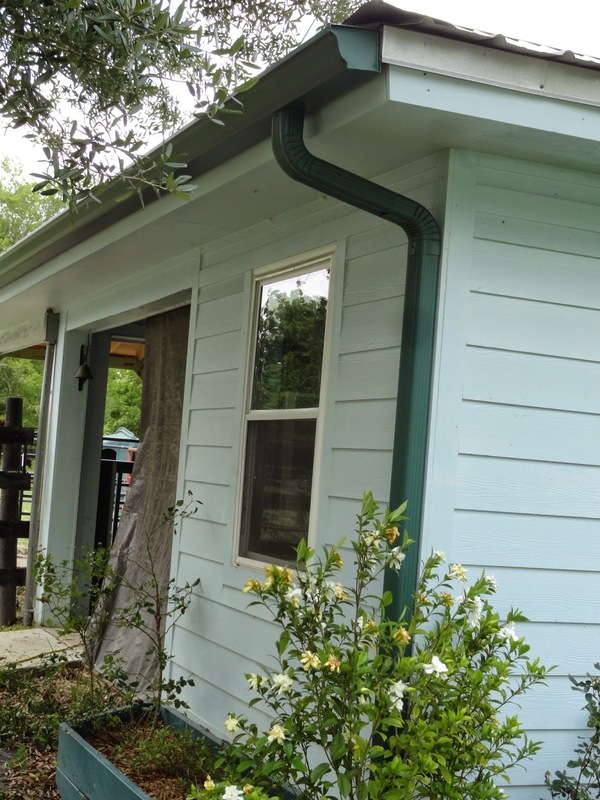 We got very dark green gutters but they actually pretty much match that very dark teal paint we have on all the trim. Nice, huh? But since the gutters needed to be able to get ALL the water running off the roof, the guy had to cut back the edge of that metal roof so that the water would all run into the gutters and it wouldn't pour out over it. So it should do a fine job of keeping the paddocks reasonably tidy from now on - and the horses won't end up with mud clear up to their knees! (that chain fence is going to be taken down eventually). that the dark green gutter looks pretty good with the teal paint. Here's the gutter along the back of the barn porch. Jerry will soon be painting that new porch there around the back. Obviously that storage loveseat there on the right is going to need to be moved since that's where Mark's golf cart is going to be parked eventually. Obviously it's pouring down rain in this photo. The pipe that runs under the driveway and over to the canal has been filled up and needs to be opened back up -- that's why there's practically that "lake" there in the front yard when it pours down rain currently. We also had a wall thing built at the other end of the porch so that the rain can't blow in onto the furniture down there. And it's also a bit more private now as well. Nice! Obviously we can use some additional furniture out there once the floor is nice. We also need to clean off the walls there on the porch as well. And we're going to be planting some things there in front of the porch as well -- but we haven't decided just what yet on that. Always something, huh? But life is good for us these days. And as long as I keep working I don't feel guilty about spending money so I guess that's a good thing. But one thing I would really like to have is a Dutch Door to replace the regular front door. As we continue to get older, I want to be sure it won't be a problem to open the door to a stranger. With a Dutch Door, I could open just the top and the dogs would throw hissy fits but wouldn't be able to run outside. Then no matter who the person might be, they sure wouldn't want to force their way in! Well, I guess I'll see if Mark would go along with that or not. I love Dutch Doors. 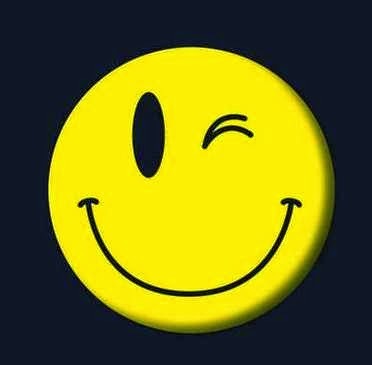 What was the old tv show that started with one? Something Swedish maybe? It looks great! One of these days I will get down there to visit!